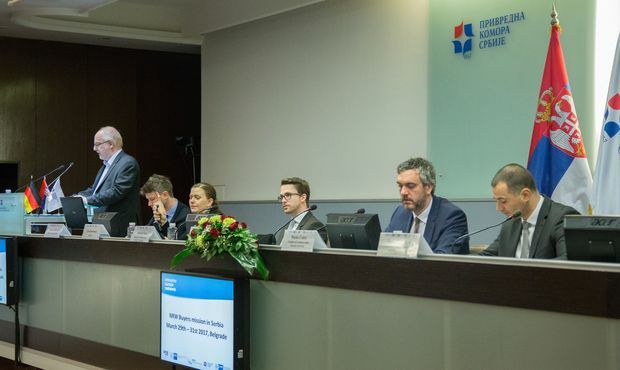 Marko Cadez, President of the Serbian Chamber of Commerce and Industry said that Belgrade has been making progress on negotiating a free trade agreement with the Russia-led Eurasian Economic Union. ST. PETERSBURG (Sputnik) — Belgrade has been making progress on negotiating a free trade agreement with the Russia-led Eurasian Economic Union (EAEU), Marko Cadez, President of the Serbian Chamber of Commerce and Industry, told Sputnik on Thursday on the sidelines of the St. Petersburg International Economic Forum (SPIEF). In mid-May, Russian President Vladimir Putin said countries comprising the EAEU had agreed to launch consultations with Serbia on the free trade deal. "The negotiation [on the free trade deal with EAEU] and the dialogue is in the process, I am informed we are really moving forward," Cadez said on the sidelines of SPIEF. Cadez also spoke about the chamber’s role in drafting the agreement. "We, as the chamber of commerce of Serbia, are there just to put or give a data on some issues, some products; to say how to make the best of opportunity first of all for Serbian companies but also of course keeping in mind all sides to pursue with the perfect and final draft of an agreement," he added. SPIEF, held in Russia’s second largest city between Thursday and Saturday, is a major global platform for communication between business representatives and discussion of crucial economic issues. Sputnik News Agency is the official media partner of the forum.